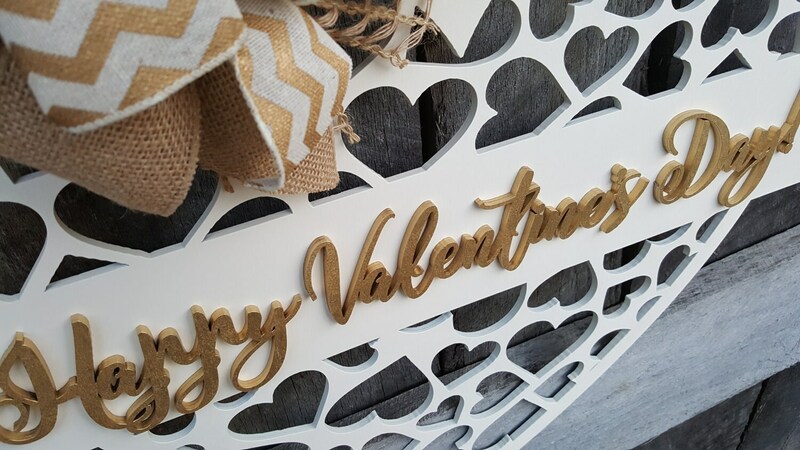 This sweet design is the perfect way to welcome in the season of LOVE! We've created this open heart design with a second layer for the wording. The piece is painted in your choice of colors. We've chosen heirloom with gold words for this sample. 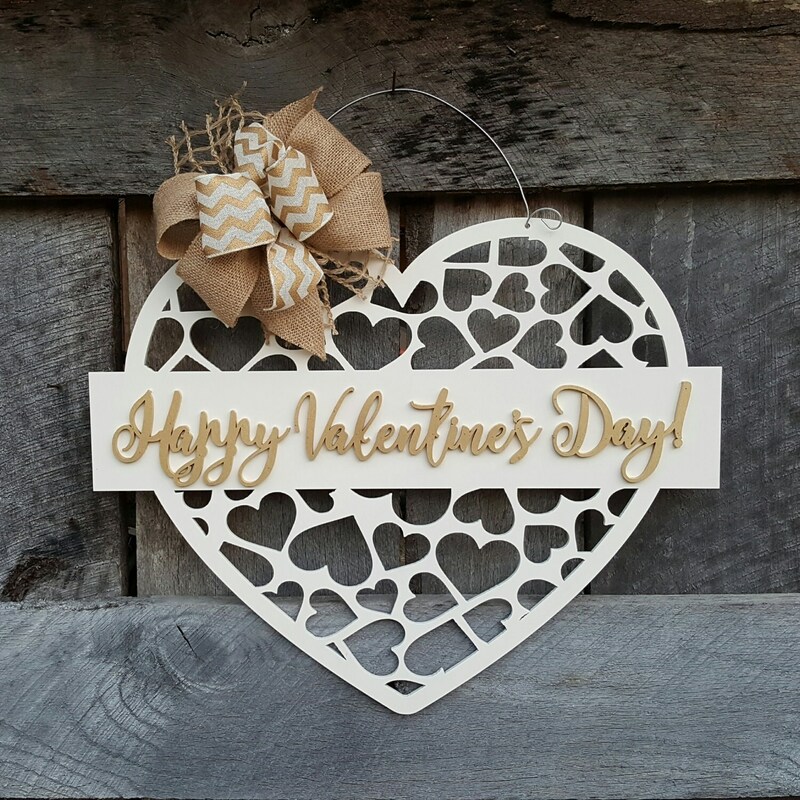 The heart is 22" wide and include a wire hanger and coordinating burlap bow.